Abrasive tools All categories Air pressure tools Automotive & fleet Chemicals, paint & tapes Electrical supplies Fasteners Grinding & sanding Hand tools Hydraulics, pneumatics & plumbing Janitorial & washroom Machining tools Material handling & storage Power tools Safety products Special offers Welding, soldering & gas app. 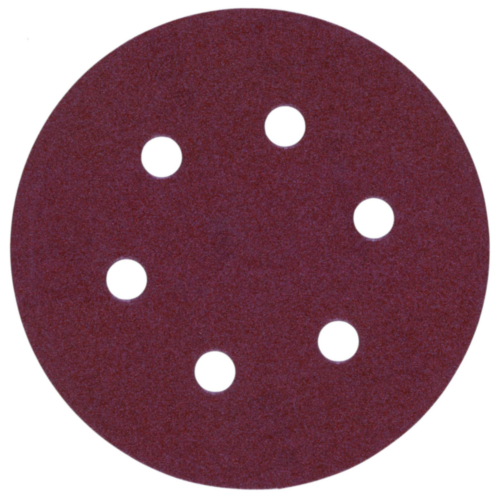 Perforated sanding discs for wood, metal, paint, lacquer, plaster. Grit type: fused alumina, half open. Artificial resin-bonded on special tear resistant paper.